If digital technology poses any threat to the market for words printed on real paper—and the jury is still out on that one—then it must also be credited for exposing us to texts from the ancient world. 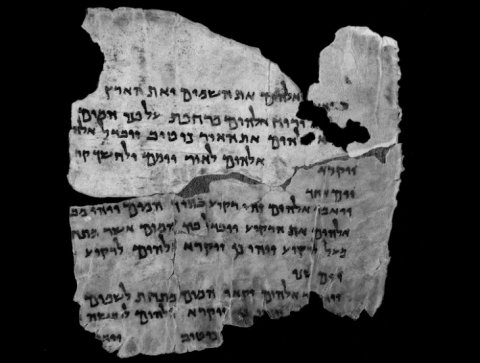 Last fall we posted about how the Israel Museum digitized the Dead Sea Scrolls, nearly 1,000 texts found on the northwest shore of the Dead Sea in 1946. They are the earliest known surviving manuscripts from what is called the Hebrew Bible. Digitizing the texts—most were on parchment but some were written on bronze or papyrus—allows viewers to zoom in to examine the writing and even the paper fibers of hundreds of fragments. Now the Israel Antiquities Authority has expanded upon the collection. Housed in the Leon Levy Dead Sea Scrolls Digital Library are the earliest known copies of the Book of Deuteronomy (which includes the Ten Commandments) and Chapter One of the Book of Genesis . Each scroll fragment was scanned using spectral imaging technology that allows for the recovery of writing that had faded to near invisibility over the years. The boon for scholars is clear, but for regular folks this archive is better than a museum visit. The Leon Levy site is searchable by discovery site, content and ancient language. Google is making its mark as a major facilitator of cultural preservation. 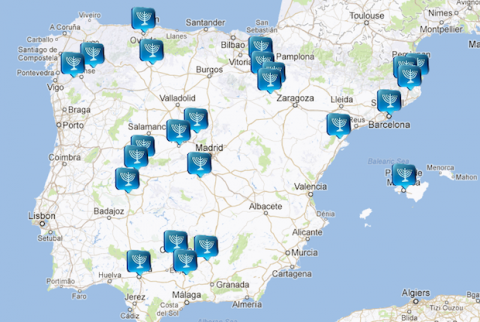 Another recent project with ties to ancient texts and history is Caminos de Sefarad, a collaboration with Red de Juderías de España to create a digital map of Spain’s Jewish heritage. More than 500 landmarks from the Sefarad—the Sephardic Jews before they were expelled from Spain and Portugal in 1492—are fully annotated with current photos, text and special details. Visit Ribadavia, a once-prosperous city in Spain’s northwest mountains, and learn about Jewish wedding traditions from the Middle Ages. The Jewish Quarter of Léon is called the Barrio Húmedo (Wet District) and is known today for its fine wine and food. Use the timeline to keep yourself oriented in chronological history and click Street View to see this vibrant district as it is today.